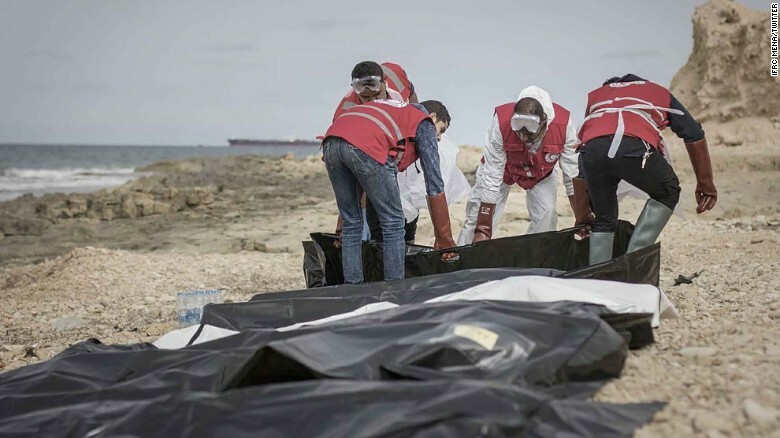 The bodies of 74 migrants have been recovered by the Libyan Red Crescent after washing up on the country’s northern coast near the city of Zawiya. Rescuers say a sole survivor was found near a torn rubber dinghy. Volunteers, who responded to a call yesterday morning, say they believe the individuals drowned while trying to cross the Mediterranean to reach Europe. “There are still bodies in the sea but our team could not reach them because the sea is very troubling and they don’t have boats so they can’t reach them easily,” Taha K. Sultan Elbarghathi, international relations officer for the Libyan Red Crescent, told CNN. When asked about the survivor’s condition, Elbarghathi described it as “not great.” The middle-aged man, believed to be from Africa, was still breathing but unconscious when found, he said. He has been taken to a local hospital. “The bodies have been floating deeper into the sea,” Elbarghathi continued, adding that this was the biggest number of bodies retrieved by the Zawiya team in a single mission. He said the 74 bodies collected are all African men, of varying ages; their boat is thought to have got into difficulties at the weekend. 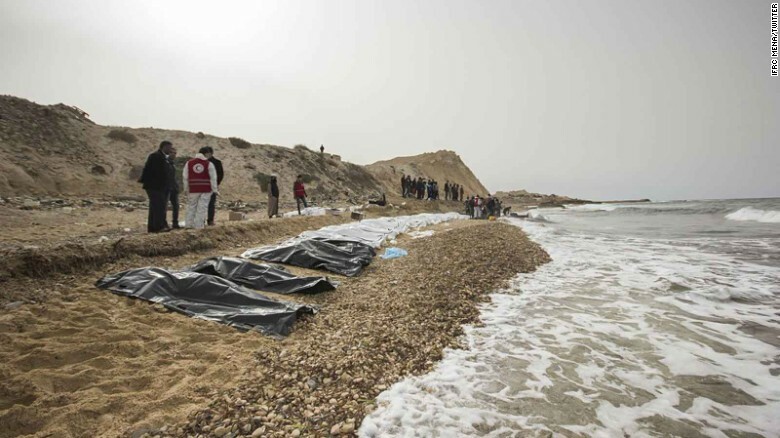 Libyan Red Crescent volunteers collect the bodies of men who drowned and were washed ashore. Elbarghathi said they are uncertain how many migrants were on the vessel but that there could have been around 150 individuals on board, given the type of dinghy recovered nearby. Photographs posted to the International Federation of Red Cross and Red Crescent Societies (IFRC) Twitter account for the Middle East and North Africa show dozens of black body bags lining the shore as aid workers stand nearby.